Adobe Premiere has been around for Macs for about as long as I've been alive, and countless video editors swear by it. A bite-sized version came to iPhones and iPads a year ago. Adobe aimed this product at your everyman, not just folks who know how to maneuver panels around a timeline. 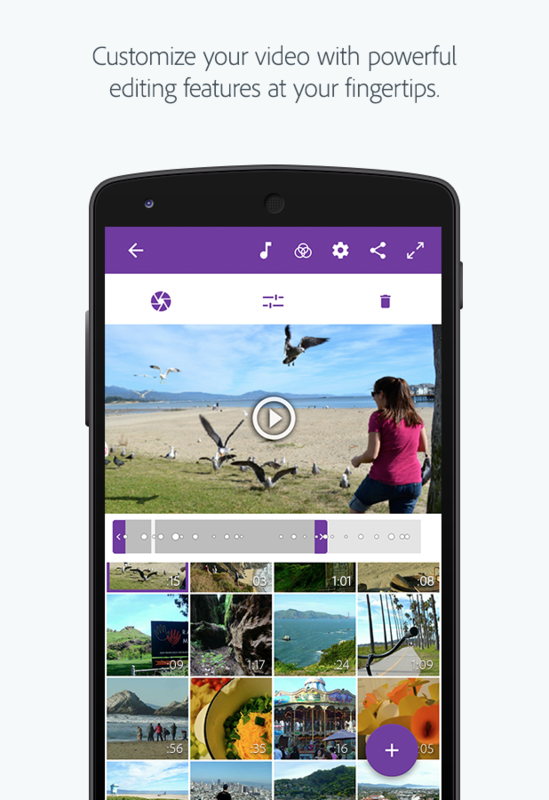 Now an Android version of Premiere Clip has made its way into the Play Store. 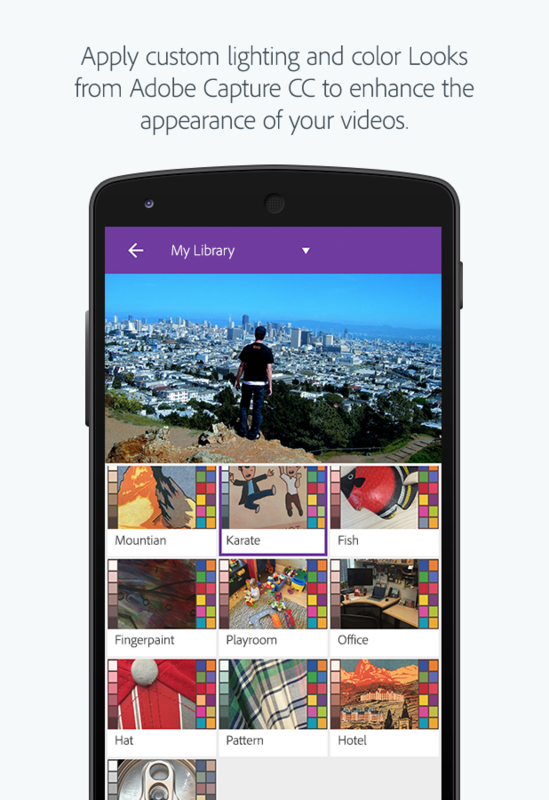 Premiere Clip, as of version 2.0 for iOS (1.0 for Android), attempts to take some of the difficulty out of video editing by automatically producing a video using your photos and recordings. It can also try to match what you see on screen to the soundtrack you provide, either from your library or from a selection of royalty-free songs. You can then edit as necessary from inside the app and transfer things to a desktop version of Premiere without losing your edits and markers. 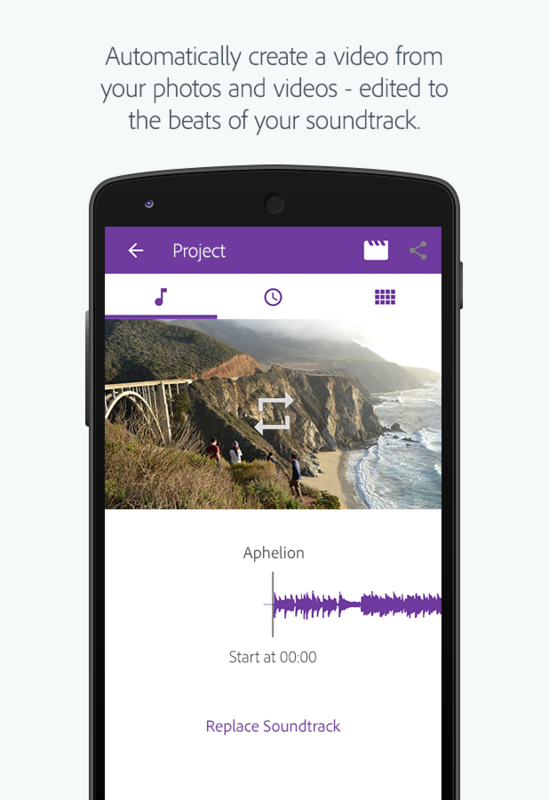 The features you see described in the iOS version below have all made the transition. 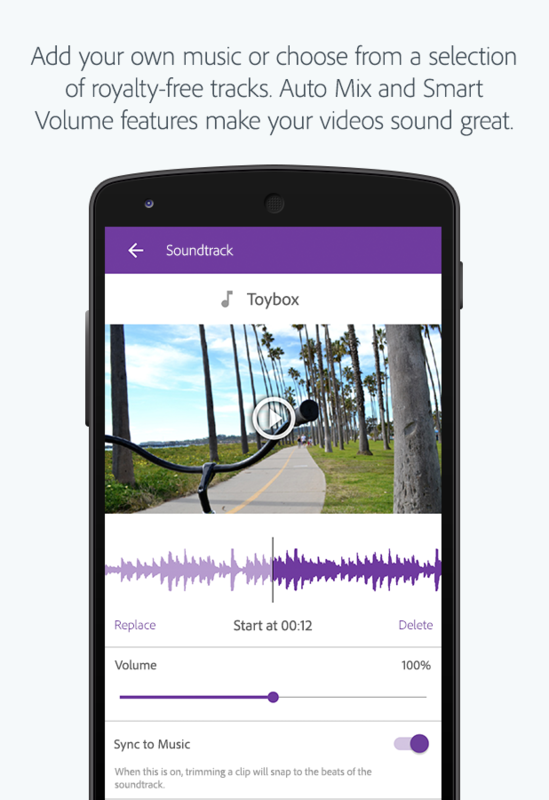 Automatic video creation, even on a mobile device, is hardly new, as options have been available on Google Play for years. These days the concept has even more wind in its sails as tech companies look for the best way to capitalize on humanity's budding obsession with GIFs. 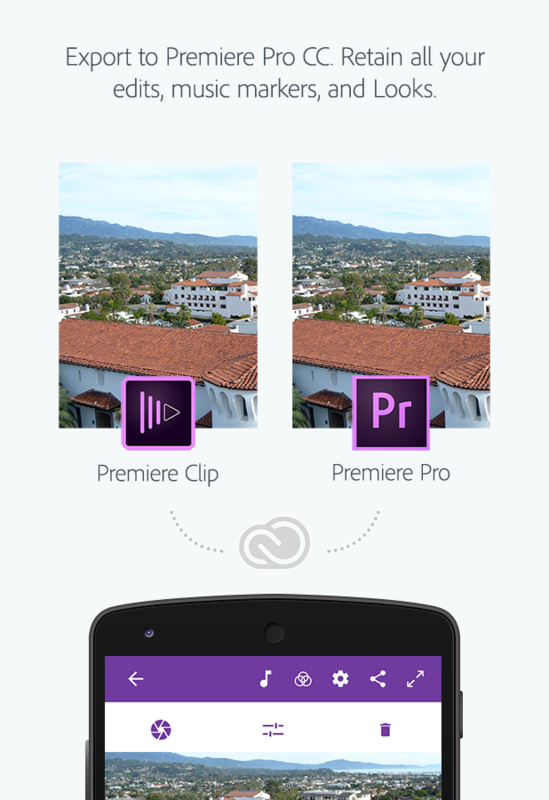 But Adobe Premiere Clip comes with name recognition and useful desktop integration, and that alone will have more than a few people ready to pounce on the link below.